A teenager and resident of Dangriga Town has unfortunately succumbed to injuries he suffered last Wednesday, April 30, when a lone gunman approached him while he was walking through Castillo Alley in Dangriga around 8:00 that night, fired a barrage of gunshots and ran off. The shooting victim, 17-year-old Hansel Garcia, also known as “Mission,” was found lying on the street suffering from gunshot injuries to the left forearm, right leg and the lower left side of his back. He was later rushed to the Southern Regional Hospital in Dangriga. However, Garcia’s condition deteriorated after he clung to life for nearly a week, and this past Monday, May 5, the young fisherman died after undergoing multiple surgeries. Today, Amandala spoke with his aggrieved mother, Indira Martinez, who told us that Hansel had been working out on the seas for an extended period of time and had just returned home to Dangriga when the incident occurred. While her son was showering, Martinez explained, she went to hang out some of the clothes that she had washed, and when she came back, he had already left, without her getting a chance to tell him goodbye. “That was one day my son never said, ‘I’m leaving,’ and about 8:15, I got a call that he was shot”, she told us. According to Martinez, Garcia was left traumatized by the shooting incident, so much so that he would consistently toss and turn on his hospital bed, which eventually led to more complications for the young patient. Nonetheless, Hansel’s mother mentioned that he underwent two separate surgeries and was in a stable condition until his death, although doctors had advised her that it would have been an incredible occurrence for him to survive the multiple gunshot wounds that he suffered. Due to his paranoia, Garcia went back into shock after his second surgery, and kept rupturing his stitches, his mother said. Even though he was receiving medical attention around the clock, Garcia wasn’t eating or drinking anything, which contributed to his deteriorating condition, and soon after – two days before his death – the police were called in to record a statement from him in which he was able to positively identify his attacker, telling police not only who shot him, but also why. “When he gave his statement, he told police who shot him because he identified him [the shooter] using pictures. He watched the pictures twice to make sure that it was indeed the person, and said, ‘Yes, that is the guy who shot me.’”, Martinez related. Martinez said that she will miss Hansel, because even though he was not always at home, he would always help her with household chores, especially when she was not feeling well. According to police, a post-mortem was conducted on the body of Hansel Elvis Garcia on Tuesday, May 6, which certified the cause of his death to be septic shock due to multiple organ failure as a consequence of multiple gunshot wounds. Dangriga police reportedly found 14 expended 9mm shells at the scene of the shooting, turned murder, and Isanni Garcia (no relation to Hansel), 21, also known as “Crisis,” was detained and initially charged with attempted murder, use of deadly means of harm and dangerous harm last Friday, May 2. Those charges, apparently, will now be upgraded to murder since the case file has been sent to the Director of Public Prosecutions, Cheryl Lynn Vidal, for further perusal. In November of last year, Hansel’s mother came to the media to make a frantic inquiry pertaining to his whereabouts after he went missing for three weeks. 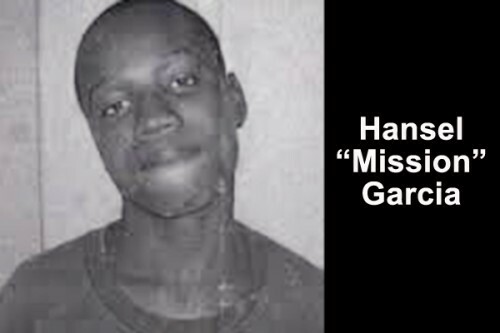 At the time, she noted that Hansel had been involved in a quarrel with someone from Dangriga, who had been threatening his life, and he had therefore gone into hiding, but did not specify where he went. When he returned, Garcia began working with relatives and had been spending most of his time at sea until his untimely death earlier this week.